St. Mary’s has demonstrated its commitment to raising children’s achievement in literacy by setting up a Reading Recovery programme. Reading Recovery is a well-established and researched intervention schemed designed by Marie Clay for Y1 and Y2 children who are experiencing reading difficulties. The programmes are adapted to suit each child’s individual needs and learning style and are delivered by our trained Reading Recovery teacher, Austra Gillespie. Parents have been very happy with their children’s progress. 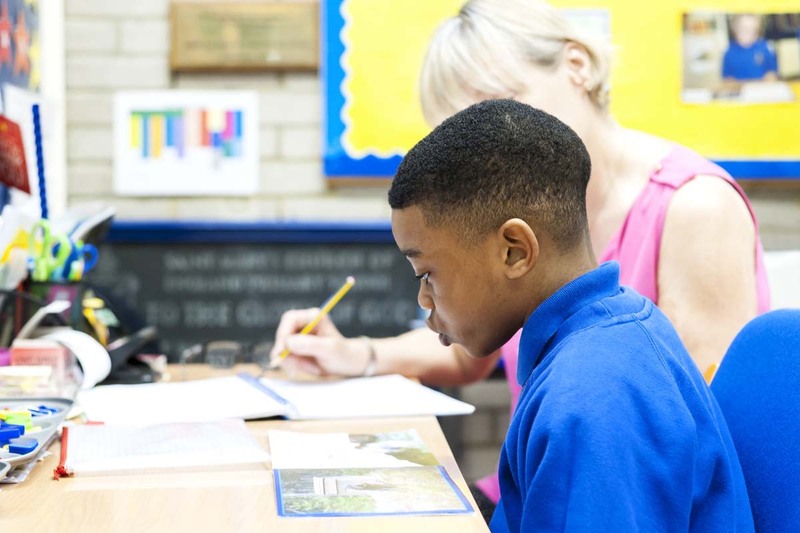 Over the period of 2012-13 the Reading Recovery Programme accelerated progress for 10 pupils. Most pupils successfully completed the programme and caught up with their peers. All pupils made good progress relative to starting points.